Welcome to your new home! Upon arrival you will be given move-in materials, including your room key, mailbox key and general building information. Please do abide by the staggered move-in times supplied by the Housing & Residential Education staff. There will be a number of Cooper Union students and staff members present to help you with all of your personal items. A valid Cooper Union ID is required for entry into any campus buildings. New students should report to the security desk of either the Foundation Building or 41 Cooper Square to have their Cooper Union ID processed. Being a new international student is an experience that sometimes only another international student can relate to. Stop by and meet your fellow international classmates who are starting this fall, as well as some of our current international students. Lunch will be served and information about different resources in the area will be available. Join us for an overview of items to be addressed as you settle in as an international student. Topics such as opening a bank account and getting an NY ID will be reviewed. We strongly encourage all international students to attend this session. Please join President Laura Sparks, and members of her leadership team, for a Welcome Address and formal start to the orientation schedule. This session is open to all new students and their guests. Following the Welcome Address from President Sparks, please join members of the Cooper Union community for a welcome reception. There will be small plates and drinks, as well as plenty of time to mingle with Cooper Union faculty and staff and fellow new students. Dean Chris Chamberlin and the Office of Student Affairs will provide an overview of the orientation schedule. This session is a great opportunity to be introduced to members of the Student Affairs staff, to gain an understanding of upcoming sessions and to ask any general questions that you may have. Joint Student Council is hosting a mixer for all students, in any major or year, to connect returning students with the incoming class, and to welcome the new members of the Cooper family. There will be light snacks provided – vegan and kosher students, we got you too. JSC members will share information about Cooper Union’s past, present and future, how to get involved with school politics and will then host a macrodance for everyone let loose. Come hang out with your current student council representatives, meet new people and dance your heart out. Meet your fellow residents and RAs while enjoying some light fare and open air. Come and relax after a stressful day of moving. The math placement exam is applicable to qualified Engineering majors only. Students seeking to place out of MA111 should take this placement exam. If you have any questions about the math placement exam, please contact the School of Engineering. Pancakes, waffles, and crepes, oh my! The Offices of Financial Aid and Student Accounts will lead a “Cooper Finances 101” session. The ins and outs of financial aid, scholarships, grants and billing will all be covered. There will be time included for Q&A, and a chance to schedule a follow-up meeting to further discuss your financial situation. All new students are required to take part in the Writing Center Diagnostic. This session serves as an introduction to college-level academic writing. The Office of Student Affairs will discuss all of the support services available to Cooper students. A wide array of topics will be discussed, including student care, student activities, career development, ADA resources and more. President, Laura Sparks, and Acting Dean and Associate Professor of Humanities, Peter Buckley, will present on the history of Cooper Union. This session is an opportunity to learn more about Cooper Union’s amazing history, and to deepen your appreciation of the legacy of philanthropy and social justice that underscores all we do. Following the presentation, there will be dinner and an ice-cream social hosted by the Office of Alumni Affairs. Did you forget something while packing for move in? Don't fret, InterVarsity has your back! We'll be hosting a dorm auction with dorm-room essentials, school supplies and fun, quirky items! Join us for a night of auctioning, playing fun games and getting to know your peers. Don't worry, this won't cost you any money. Just come as you are, with energy and enthusiasm -- you have nothing to lose and plenty to gain! We hope to see you there! This is an optional placement exam, available only for Electrical Engineering majors who want to attempt to place out of ECE 160: Programming for Electrical Engineers. If you have any questions about this exam, please contact the Electrical Engineering department. Figuring out all of the rules and regulations governing F-1 status in the United States can be quite challenging. Join the Office of International Student Advisement for a session designed to break down all of the things that you need to know as an F-1 student. During this session, our Student Care Coordinator will discuss common mental health concerns among college students and how to identity these concerns in oneself. Additionally, this session will provide students with information regarding supportive resources available at Cooper Union and throughout NYC. The session will conclude with a discussion about self-care and suggestions on how to stay healthy and be successful at Cooper Union. Take a break from the day's sessions to grab a bite to eat and mingle with fellow new students. If you are interested in joining an athletic team, this session is for you. All aspects of athletics - from varsity sports to clubs sports and general exercise - will be covered. Whether you are interested in trying out for one of the varsity teams, or you're curious about starting your own athletics-related club, come out and learn about all that Cooper has to offer. Spend time with Grace Kendall, Title IX Coordinator and Director of Student Diversity and Inclusion, and learn about creating an open and welcoming campus culture, respecting differences and many other topics related to diversity and inclusion. Cooper Union's Director of Security will discuss information regarding Cooper Union's safety procedures, best practices for keeping yourself safe in New York City, tips for commuting around NYC, information about the neighborhood and other safety-related topics. Get to know one of Cooper's main hang-out spots and join Zeta Psi for some pancakes, waffles and coffee in Frankie's Kitchen. Want some unique Chinese snacks? Come experience the art of Chinese Yo-yo! Participate in yo-yo challenges with Chinese snacks for anyone that finishes. You will see a yo-yo demonstration, learn about how to get involved with the club and get information about our shows and performances. All class years! All majors! All students! All the fun! Get to know your new classmates and learn about the NY Water & Environmental Assoc. (NYWEA) in beautiful Tompkins Square Park. Prepare your tastebuds for smoothies at Juicy Lucy's, the best smoothie joint in the East Village! Team up with other students and explore your new home in a fun competition. Assorted prizes will be awarded to the top teams. Come join the Chemists' Club for a picnic in Washington Square Park! Everyone will meet in the 41 Cooper Square lobby and walk to Washington Square Park together. This is an opportunity to meet returning students and your fellow incoming students, and learn about networking and local professional opportunities through the Chemists' Club. Food will be provided. Learn about the Cooper Union Steel Bridge team AND build the bridge that was designed and fabricated entirely by last year’s team! Last year’s team successfully built their bridge in only 13 minutes at a regional competition. Challenge their record, if you are up for it! Kickoff your college life with this Mission Impossible, a few snacks and returning members of the Steel Bridge team! A recommended supply list will be given to the School of Architecture first-year students during a visit to local supply stores. This is a chance to get to know some returning students as they share their expertise in purchasing materials for building, making, or drawing. After the supply run, students will be treated to gelato from East Village's best gelateria, Fresco. The SpaceX Hyperloop Competition is the most exciting engineering challenge focused on building the fastest mode of ground transportation yet, the hyperloop. The Cooper Hyperloop team has joined hundreds of international colleges and companies that are working to design and build a pod which goes faster than 500 mi/hr. The Cooper Union team includes students of every engineering field and is preparing to compete at SpaceX’s headquarters in July of 2019. Are you new to New York City and nervous about public transportation? Are you a seasoned MTA veteran who is interested in learning more about the NYC subway system? Either way, this event is for you. Get to know the local subway stations with this quick and fun scavenger hunt. Join The Coopertones for dinner and an open mic night on the terrace! Learn more about the performing arts scene at Cooper as we listen to music and poetry by our very own Cooper students. The heroes are just as important as the adventure. Come eat snacks, meet the eclectic D&D club, and dream up your own adventurer with a unique backstory, personality, skill set, and motivations. Bring your sense of wonder and we will bring the rest. New to the East Village and want to check out a church, but don't know where to go? Want to meet some awesome Cooper people and get plugged into the local community? Meet us in front of the Residence Hall on Sunday morning and we can explore together! This session involves a short walk (around 10 minutes) to the few locations around Cooper, but someone will come and meet you to guide you to whichever church you prefer. The Engineering Student Council invites any student interested in student governance and Cooper Union history to a Cooper History Trivia & Ice Cream Q&A sesh! Learn about relevant landmark events in Cooper's history, fun facts that you can use to impress your friends and how to get involved with student governance. No prior knowledge of Cooper's history is needed; this event is about mingling with current members of the student council, enjoying your favorite flavors of ice cream and getting to learn more about your school! Anyone, from any year or any major, is welcome. Join Cooper’s dance team in creating our very own dance video! Learn some moves, create your own or just freestyle. Don’t worry if you have no prior experience dancing — just be yourself!! Also, hear about our team members’ Cooper experiences and how we balance school and dance. Snacks will be provided. Join the SWEetest crew at Cooper for some snacks and fun! Learn about the Society of Women Engineers and meet current students and faculty as they share their experiences. We hope to see you there! Join the Cooper Motorsports team and the American Society of Mechanical Engineers (ASME) in the first MechE event of the year! The event will begin with a presentation from Motorsports & ASME. Everyone will then split up into teams to design, build and race mousetraps against one another. The winners will receive cool 3D printed prizes of miniature versions of parts of the 2018 racecar. Afterwards, compete against current Motorsports team members in a game of Mario Kart, or try to beat their times on the racing simulator. Cooper Motorsports and ASME welcome you into the MechE family and are looking forward to seeing if you’ve got what it takes to be a MechE. Ocean's 8, candy, popcorn, cotton candy, drinks…What more could you want? Are you interested in journalism or current events at Cooper? Come learn about The Pioneer, The Cooper Union's student-run newspaper. Join the South Asian Society, Hillel, KACU and CSA for a brunch in the Residence Hall Menschel Room. Enjoy food from all over the world, meet returning students and discover the cultural societies at Cooper! Come meet, and talk to, members of Cooper Union Hillel over some pizza and drinks. There will be a tour of the main Jewish life buildings in downtown NYC. An event not to miss! 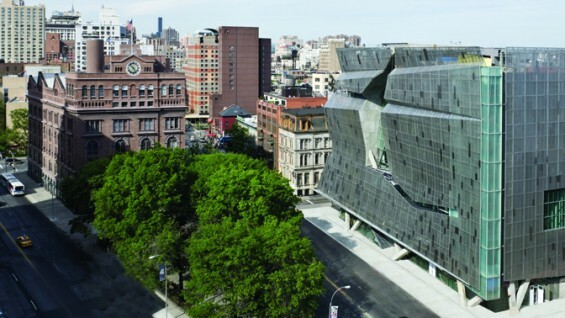 The Cooper Union Black Student Union invites new students to meet the union's administration and learn about our presence on campus. Join us and ask questions about our mission/engage with black students from the schools of architecture, art, and engineering. We will finish the event by screening a film. Snacks will be provided. Get rid of those pre-first-day-of-school jitters with lavender, face masks, tea, calming music and fruit-infused water. Come hang out with the Juggling Club as we teach you the secrets to juggling. If you have no idea how to juggle or what juggling even is, stop by and we'll help you learn the basics. If you already know how to juggle, come and show off your skills. We always love to both learn new tricks and show off a few of our own. Join Zeta Psi for an afternoon of games, sports and food at East River Park, Field #8. If you've never been to East River Park, this is the ideal time to get familiar with an underrated NYC park. The park has numerous fields and courts, as well as long waterfront promenade. So you're an EE, or interested in EE? Now what? Come meet returning Electrical Engineers and learn more about EE opportunities at Cooper. Ask and learn about courses, extracurricular activities, projects, being a Cooper student and more. There will be games, food and drinks!! All are welcome. The Art Student Council (ASC) is a group of students who serve on various campus-wide committees to provide student input and feedback. Come and meet current members and learn how you can become further involved in the present and future of the School of Art. Ice cream and snacks provided!